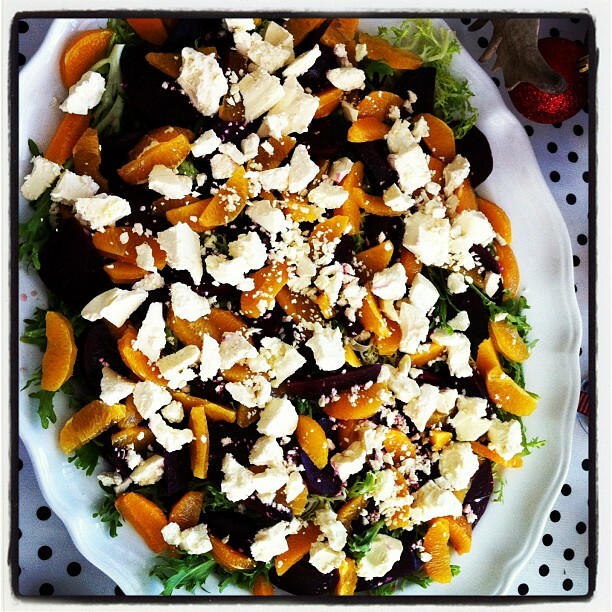 So here they are - Four quick, easy and fresh, low-carb salads that you can whip up anytime. I made these on Christmas day (to accompany the lashings of ham & turkey! ), but you could happily add some sliced grilled chicken breast or a boiled egg to oomph it up for a one-dish-dinner/lunch! 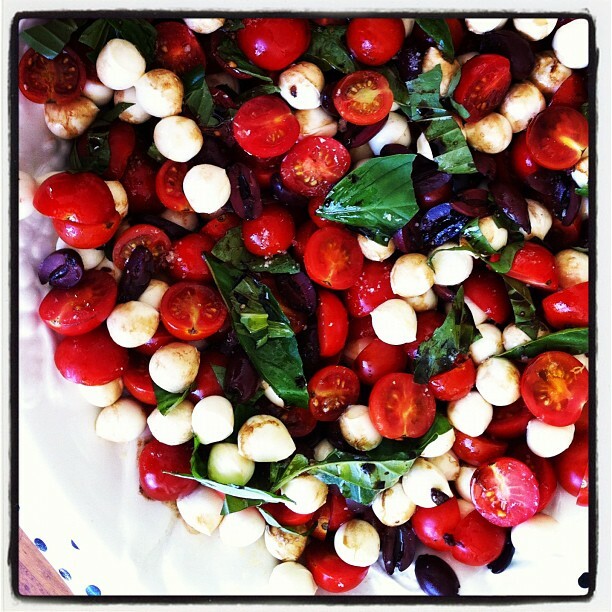 (above) Caprese: Cherry tomatoes, bocconcini, olives and basil. Dressing: Extra Virgin olive oil and balsamic vinegar. Woolworths Select brand do a superb balsamic by the way (it has figs on the label - this is the bottle). 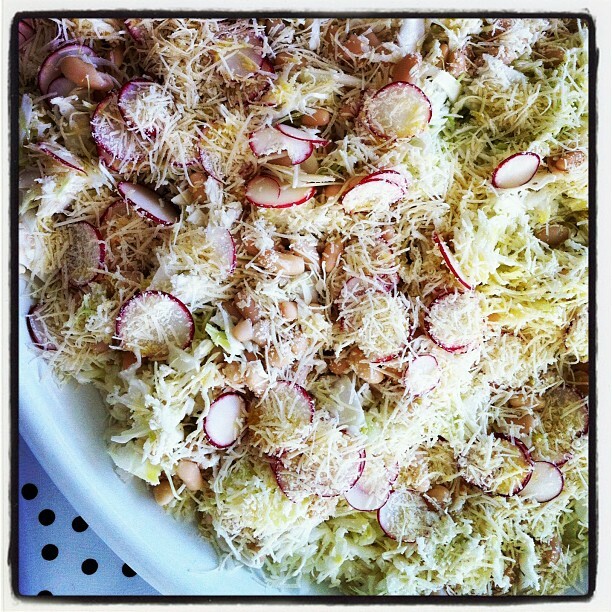 (above) Modern coleslaw: Shredded cabbage, cannelini beans, sliced radish, freshly grated parmesan cheese. Dressing: Fresh lemon juice & extra virgin olive oil. 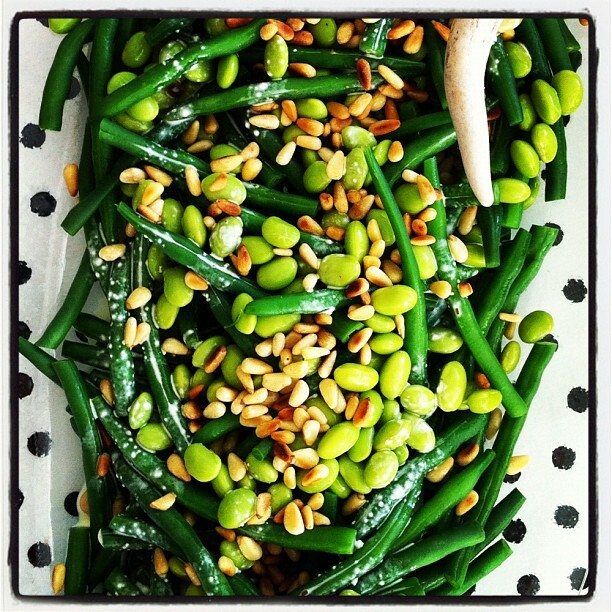 (above) Best Bean Salad: Green beans, edamame beans and toasted pine nuts. Dressing: White balsamic vinegar, S&W egg mayonnaise, extra virgin olive oil. 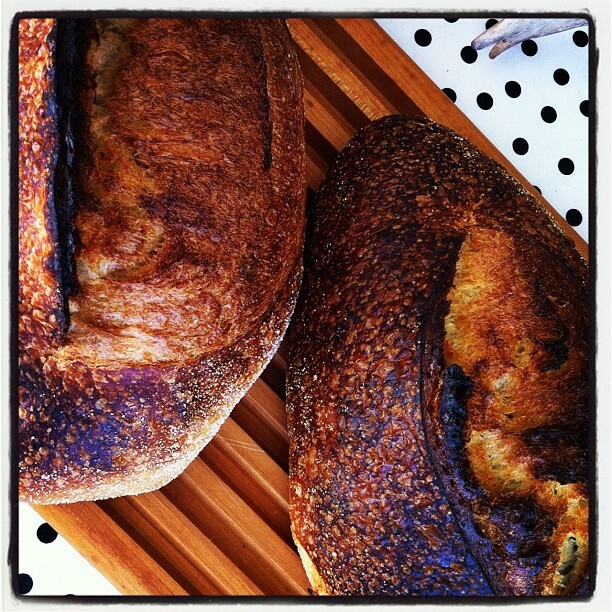 (above) All served with some the best bread in Sydney - Sourdough from Bourke St Bakery. PS It's well worth a trip to BSB, wherever you live in Sydney! 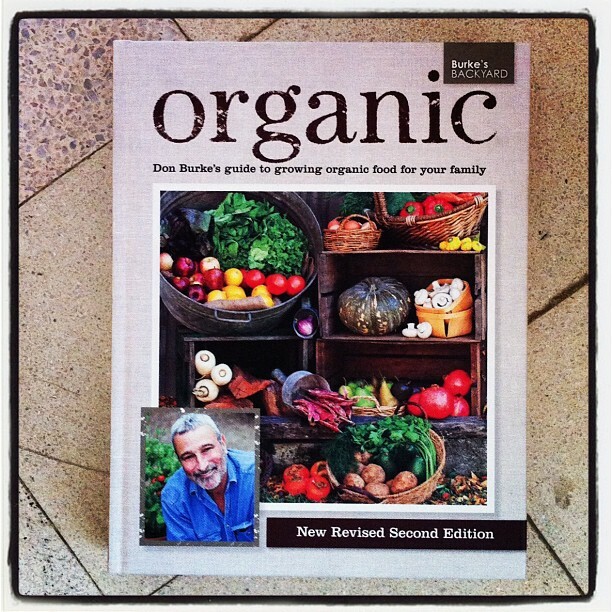 (above) Speaking of fresh, gorgeous, organic food, this was a beautiful Chrissie pressie from my cousin Si and his lovely wifey Claire and their girls - Organic: Don Burke's guide to growing organic food for your family. Thanks guys, we love it! Starting a veggie garden is top of the list for 2012! Did you make anything scrumptious over the silly season? Share!